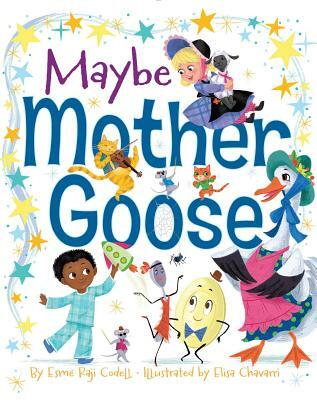 In the witty sequel to Fairly Fairy Tales, Esmé Raji Codell’s latest picture book features charming twists on the beloved Mother Goose nursery rhymes. Sometimes the answer is “yes” and sometimes it’s “no”—but the fun is in the asking! Gifted writer and educator Esmé Raji Codell asks these questions and more in a wonderful and witty picture book that both children and parents are sure to love. With a kid-friendly style and vivid detail, Elisa Chavarri’s sweet illustrations bring these beloved nursery rhymes boldly and humorously to life. Esmé Raji Codell is the author of the bestselling Educating Esme, a memoir about her first year teaching in Chicago, as well as several books for children, including Sahara Special and Seed by Seed. You can visit her at PlanetEsme.Blogspot.com.